West Covina – O Hei There! Came here last Sunday after our basketball game, because we wanted to go somewhere nearby (we were in Covina) that was showing NFL games, since so many of us are avid fantasy football managers. I remember going to BJ’s quite often when I was at UCLA, and thought that it was decent. 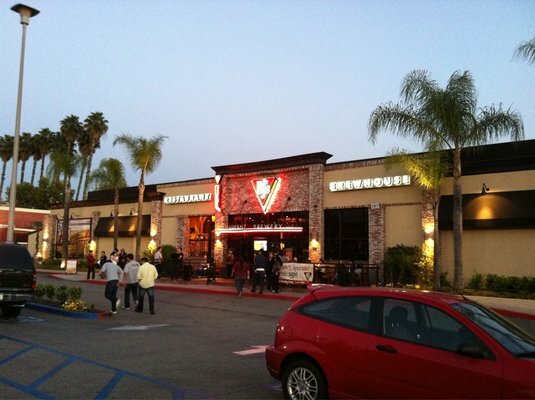 In fact, it was usually the go-to place for when we went out to dinner in Westwood in a big group. They have a variety of Chicago deep-dish pizzas, burgers, sandwiches, and other basic American classics, as well as a selection of microbrews to go along with the food. 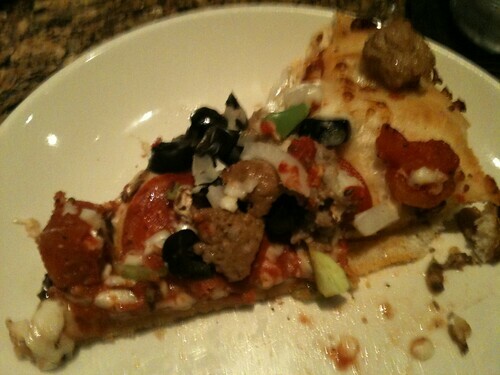 Four of us decided to split a pizza. We got it half BJ’s Favorite and half Great White. 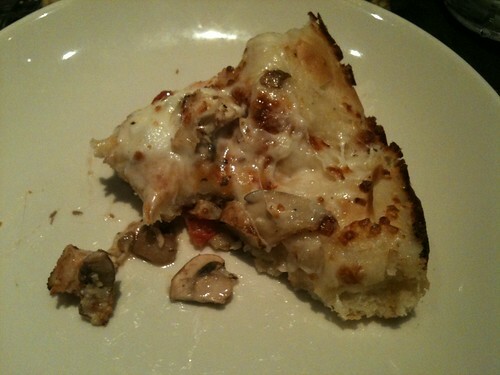 The pizza is pretty greasy and salty, but tasted decent, and brought back a lot of college memories. I really don’t have any authentic knowledge of deep dish pizzas, but with regards to pizzas in general, the ones at BJ’s are at the very least a notch above the ones at Pizza Hut, Domino’s and Papa John’s (although I also do have a soft spot for Papa John’s). As long as you know you’re eating at a chain restaurant, and not expecting Pizzeria Mozza-esque pizzas, then I think BJ’s is a solid option.